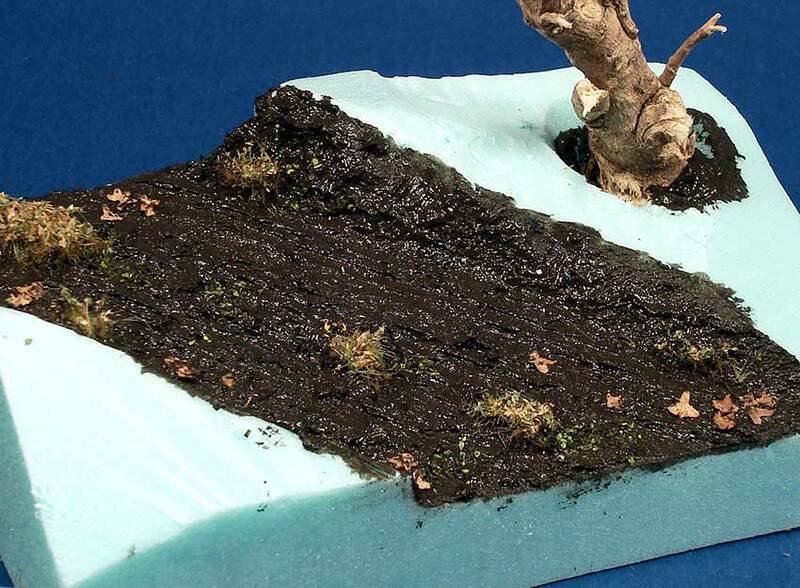 Snow is one of the textures most appreciated by the modeler for winter scenarios, it reproduces the glittery look of this element, and is an ideal medium to work with, easily coating all surfaces, evenly or in heaped mounds. The product dries in 24 hours, and further coats can be applied for more volume. 1. 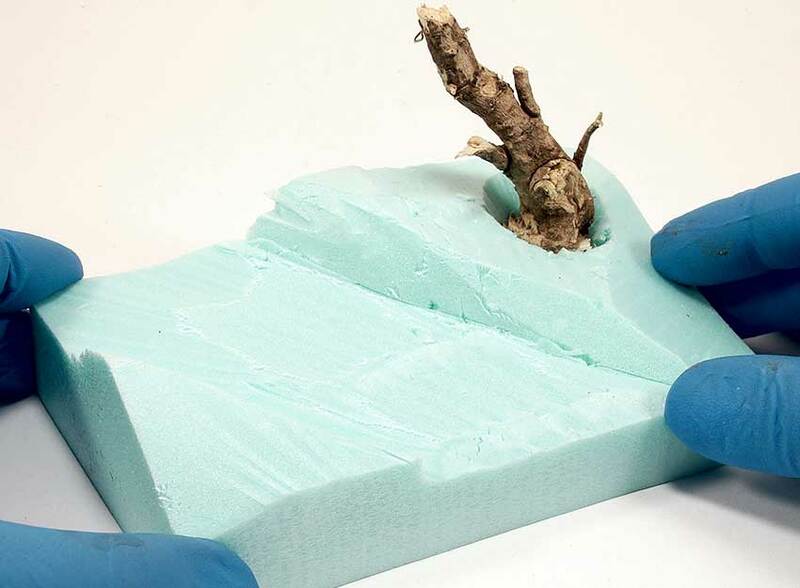 A piece of foam, previously carved with a knife is used to represent the ground relief, is a great base to apply our products and like they are water based, they will not affect the foam. 2. 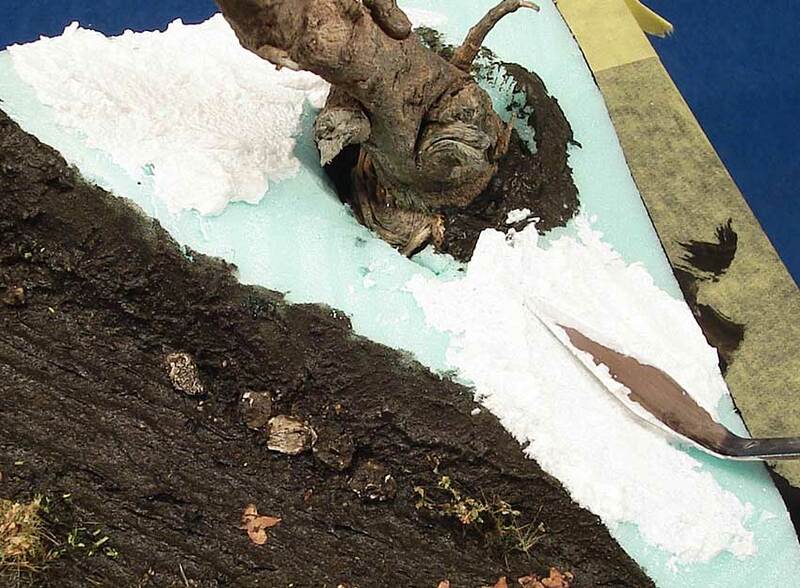 The road is already made with Diorama Effects products and the rest of the base is waiting for the Snow Texture treatment. 3. 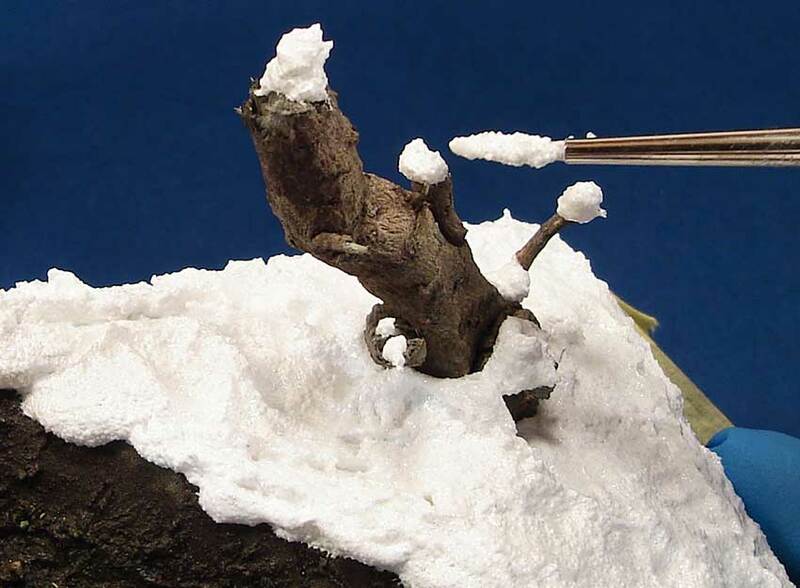 Vallejo #26.820 Snow is easily applied, directly from the jar, with the help of a spatula. 4. The final touches are achieved with the help of a medium size flat brush. The flow is impressive and we can easily reach all areas. 5. 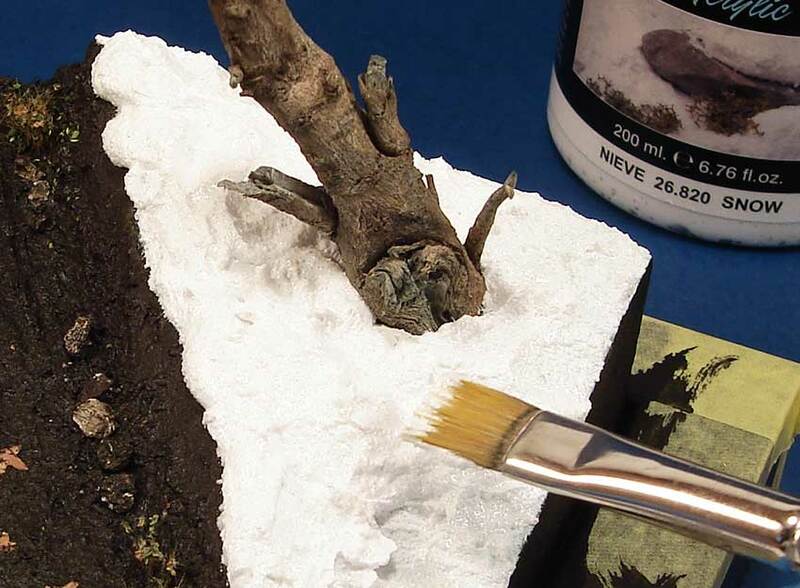 Small details can be added with the help of a fine brush. 6. 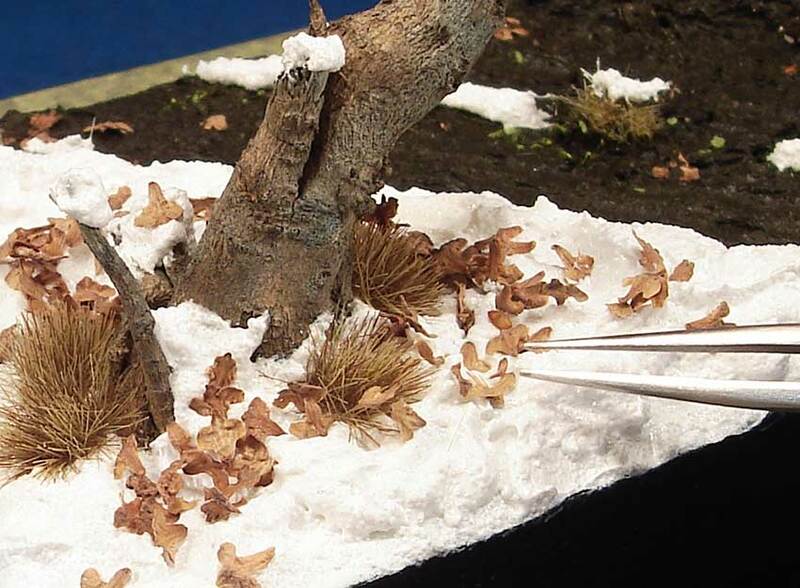 While Snow is fresh, we can add synthetic turfs, dry leaves, small rocks. Once well dry, all those elements will be strongly bound in place. 7. 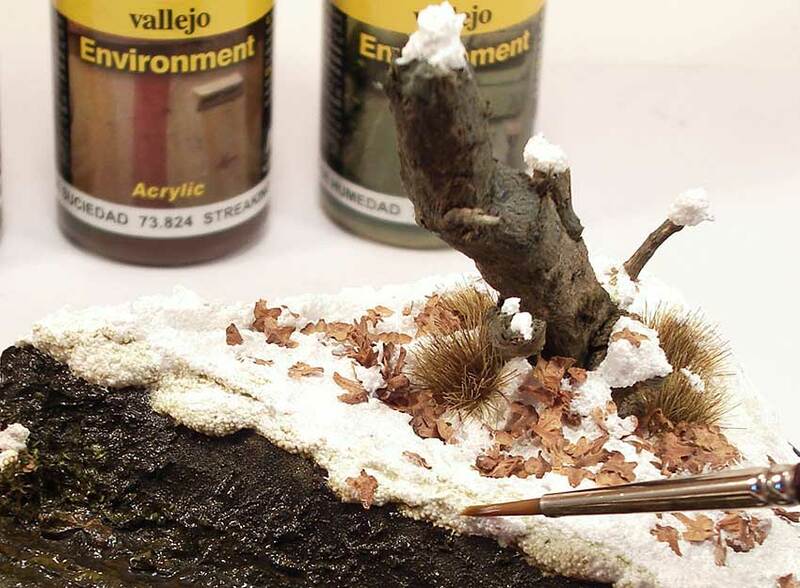 For an extra touch of accuracy, Acrylicos Vallejo Environment products are used. The final results are really, really beautiful.